On Monday 3rd December we created The Great fire of London at Bowsland Green. You can see how quickly the fire spread and how much fire there was. The houses were burnt very quickly. We loved seeing how it burnt and really felt like we had gone back in time to see The Great Fire in 1666. We loved it! We had a medieval feast to celebrate the end of our first term. We made cabbage soup and apple tarts and learnt some medieval dancing. Here are some photos of us together playing in the woods at the end of our trip. Do look at our class pages for photos of the classes in and around the castle. In our Mantle of the Expert, we have been looking at the seaside in the past. We visited Weston Super Mare and created our own video of the seaside from the past. Check it out here. The children thoroughly enjoyed themselves, and produced some fantastic pieces of artwork. Some children painted pebbles that will live in our Outdoor classroom, and other children created Mood Art using colours that reflected their mood. Susan has a painting of Concorde that is on sale in the Aerospace Museum, and a few children had a try at replicating this. Other children drew their favourite things using techniques taught to them by Susan. Matthew – You know the pictures she drew? They were so amazing weren’t they! Megan – The seaside picture was amazing. Diana – The artist practised all the time, even when she thought she couldn’t do it. She got lots better. Penny – I liked it when she showed us the drawings that she did when she was young. She was the same age as me when she started.Alexia – She did lots of artwork by herself and I think it’s amazing that she works by herself and not for a company. Mikey – I liked that she was doing lots of different kinds of Art. It’s really hard to draw but she did beaches, flowers and birds. Mia – I liked the picture of the airplane best because I love the colours she used. Daniel – I liked all of what the artist did, it was so nice. Grace – It was really good, I really liked it. Tanvi – I made a pretty pattern on a pebble. I enjoyed it because I made it look really nice. I am proud of myself. Kobi – I wish the artist could come in every day or every week. It was really fun. Olly – I painted a pebble with the artist, and I really want to take it home to show everyone because it was such a good thing to do. Year 1 have spent 3 weeks training with football coaches to improve our football skills. Here are some photos of us. In Key Stage 1, we have been getting in touch with our emotions. We have focused on a different emotion each week. The children have thought about how their bodies react when feeling these different emotions, and also of a time when they felt that particular emotion. Coming up over the next few weeks will be jealousy, excitement and disappointment. We are a group of emotionally literate children. Our teachers have been very proud of the way we have spoken so openly and honestly. Emma Jones needs our help! Emma wants us to create different aeroplanes so that we can help impress her boss. Follow us on our journey as we research different aeroplanes and make our own! 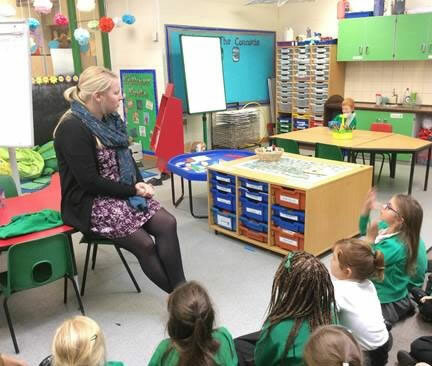 Here is Emma Jones sharing her story with the children. WE ARE READY FOR THE CHALLENGE! 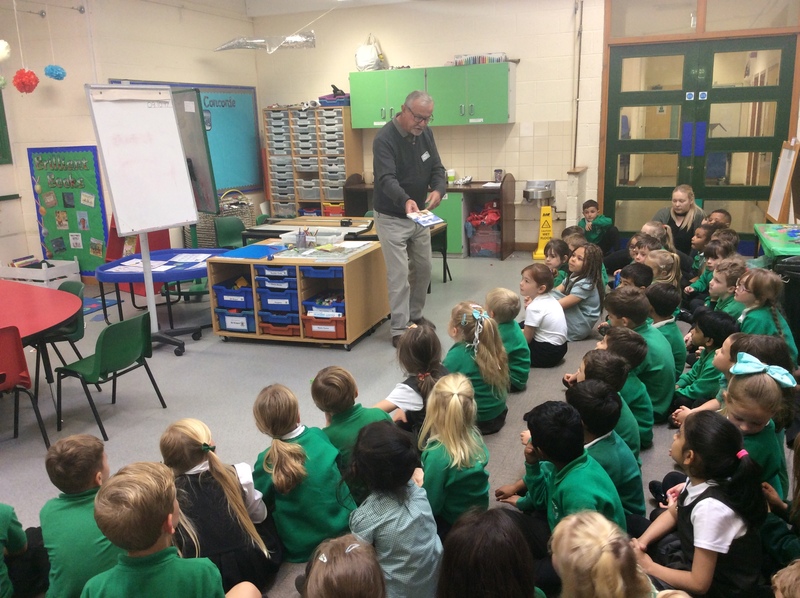 Bob worked on the first ever Concorde in Filton and he came in to tell us all about it. After he told us all about how the Concorde is made and when it first and last flew, we got to ask him some questions of our own. We then made a fact file all about the Concorde.